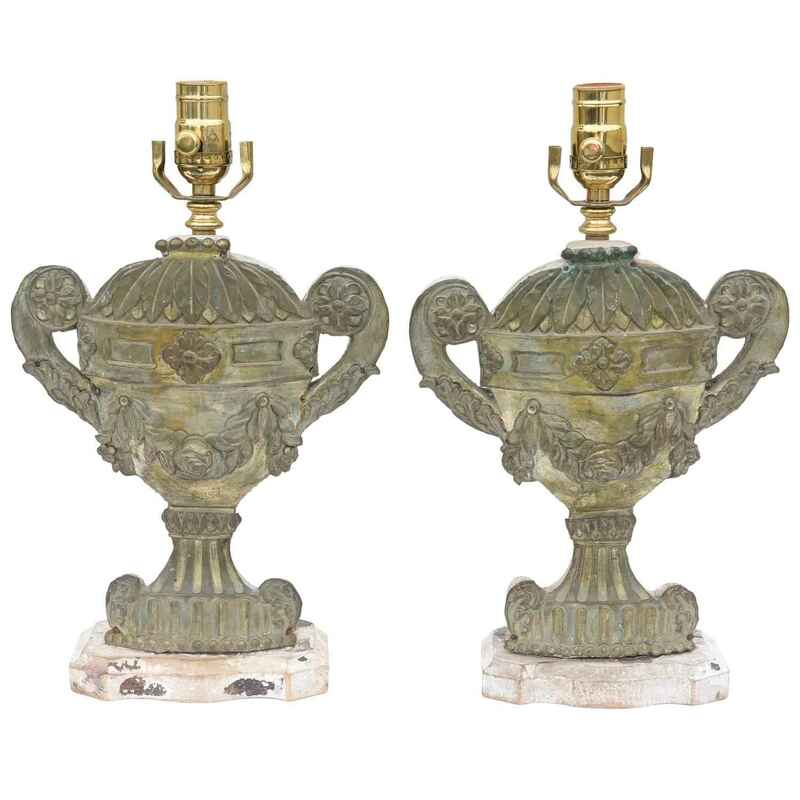 Pair of lamps, of repousse bronze, each an urn with a cap of laurel leaves, fluted body centered with a rosette, flanked by scrolling handles, decorated by acanthus leaves, on fluted socle and foot; wooden backplate and base. CONDITION: Excellent antique condition. Minor wear consistent with age and use. Desirable natural wear to wood finish. Bronze patina. Pair of lamps, of repousse bronze, each an urn with a cap of laurel leaves, fluted body centered with a rosette, flanked by scrolling handles, decorated by acanthus leaves, on fluted socle and foot; wooden backplate and base. CONDITION: Excellent antique condition. Minor wear consistent with age and use. Desirable natural wear to wood finish. Bronze patina.